Stars appear as points of light in the sky. They are like our Sun and can vary in size and heat. 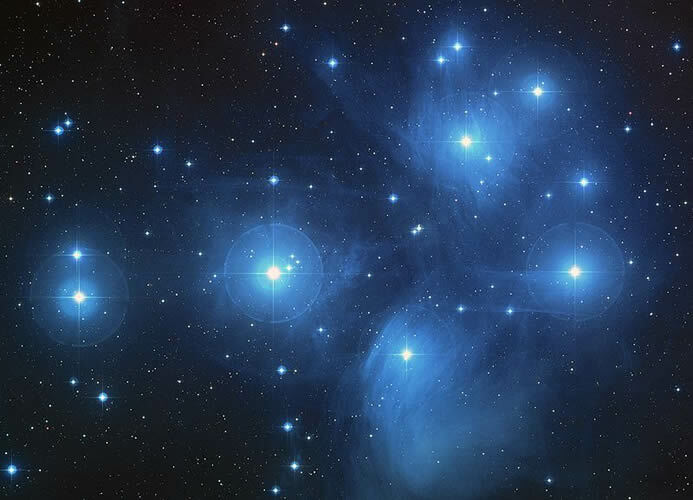 Although they are bright they are millions of miles away, the nearest is 4 light years away. They may twinkle towards the horizon. Many stars are binary stars and consist of two or more stars that share a gravitational bond. These are called double stars although this name also applies to stars that look binary because of the angle we see them but are not connected. 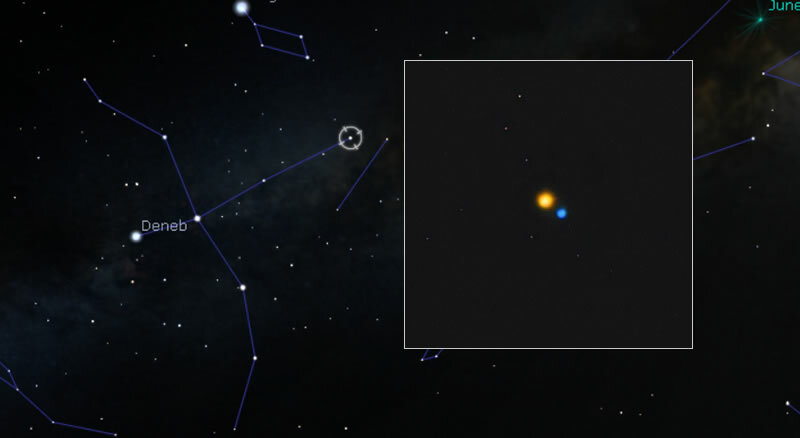 Many of the stars in the sky are binary stars. This means they are actually two stars that orbit around a common centre of orbit. Some stars like Castor in the constellation Gemini have more than one binary pair. There are six stars made up of three sets of binaries orbiting each other. Some stars look close to one another in the sky but are not related; they can be millions of kilometres, even light years apart. A further star may be brighter than the closer star but much further away. These are called optical double stars. Planets are typically brighter than stars, they do not tend to oscillate (twinkle) due to being closer than stars. Mercury is difficult to view due to being closer to the Sun, only visible pre-sunrise and post-sunset. Venus is visible in the early morning and evening. Venus, Mars (bright and somewhat red) and Jupiter are brighter than any star. Saturn is slightly less bright than the star Sirius but from northern latitudes it appears brighter as it is higher in the sky. A constellation is a group of stars that appear to make a pattern in the sky. When we look at them they look close together, but in reality they are usually very far apart and may not be part of the same group of stars they appear next to. At different times of the year we can see different constellations due to the rotation of the Earth and the tilt of our axis, in the same way we have seasons. As our planet rotates we appear to stay still while the sky rotates. An asterism is a pattern of stars that may or may not be linked to a constellation. Examples are the Plough in Ursa Major, the pattern made by the saucepan shaped brighter stars, or the Summer Triangle, a shape formed between the bright stars Vega (constellation of Lyre), Deneb in Cygnus and Altair in Aquila. There are clusters of stars around the galaxy. These have sometimes been mistaken for galaxies but we know they are not as there are usually only several thousand stars quite close to our galaxy, if not in it. If they actually were galaxies there would be millions of stars there and they would be much further away. In fact we can see clusters of stars in other galaxies. Open clusters are groups of stars close to each other in space. They form no specific symmetry and are usually very bright, indicating that they are young stars. There can be anywhere from a dozen to thousands of stars making up no particular shape, and these are found around the galactic plane. A good example of an open cluster is the Pleiades, or Seven Sisters, above the constellation Taurus. You can compare your eyesight to a friend by seeing how many you can spot with your eyes. From a city you may see seven, the record is nineteen! Globular clusters are spherical shaped with more stars nearer the nucleus. They resemble a fuzzy ball. These clusters are located around the galactic nucleus. The stars are usually very old red giants and white dwarfs packed tightly together. 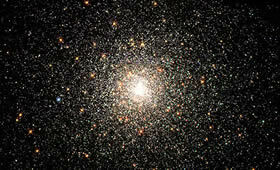 There are thought to be between 100,000 to over a million stars in a typical globular cluster. 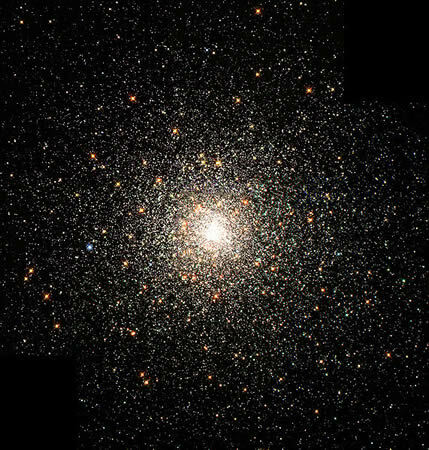 An example of a globular cluster is M13 in Hercules. 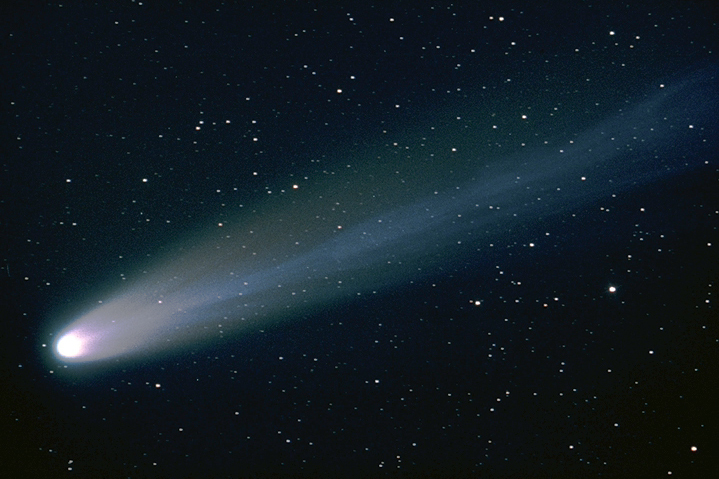 Comets have vast trails of ice and dust over a large portion of the sky, thinning to a dense core. It's movement over a short period of time is clearly noticeable. Most comets are visible to the naked eye. 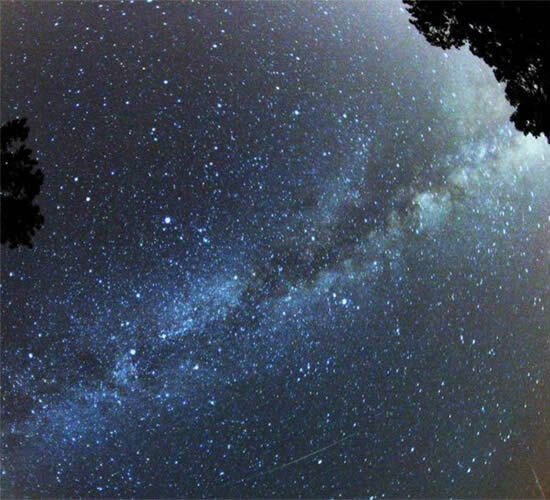 Meteors are short lived but very bright streaks of light that move across the sky in a matter of seconds. Nebulae (the plural of Nebula) are blurry patches of light in space that are not other galaxies but are in fact mostly in our own galaxy. They are places where stars are born, are dying or have died. Very few Supernovae events happen that are visible to the naked eye, only a handful have been recorded in the last millennia. The supernovae that occurred in 1054 (now the Crab Pulsar/Nebula) was visible in the night sky for nearly two years and was visible in the daytime sky for over 20 days. The solar wind interacts with the atmosphere to create spectacular displays of light and colour in the sky. In the northern hemisphere this is called Aurorae Borealis. In the southern hemisphere this is Aurora Australis. Slow moving, very faint objects, orbiting in a polar orbit and viewable on the meridian. The ISS (International Space Station) moves over the course of the sky over a matter of minutes. It can be brighter than the planets and is unmistakable in the sky. Multiple bright white and red lights slowly moving over the sky. You've seen a plane at night time. With the naked eye this appears as a faint grey band in the sky. Through binoculars or a small telescope individual stars can be seen. What is the difference between an asterism and a constellation? Describe the appearance of open clusters, globular clusters and nebulae. Find out about Mizar and Alcor in Ursa Major. 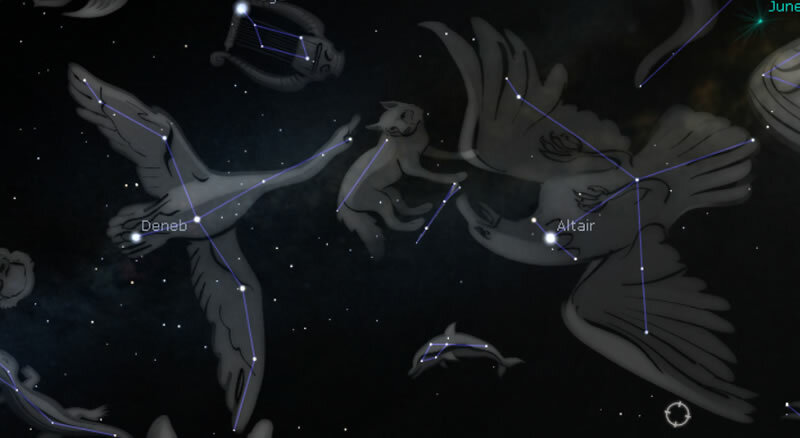 More asterisms include Orion's Belt, Square of Pegasus, Teapot in Sagittarius, Sickle in Leo. How many can you find?